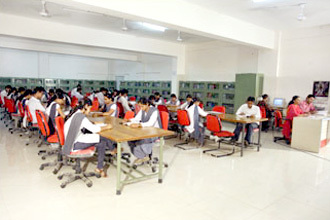 The library of Technocrats Institute of Technology (Excellence) was established in the year 2007. The library building is centrally air-cooled and equipped with computers and communication network. It houses more than 26,000 volumes and has seating accommodation of about 100 readers. Besides the one big reading hall there is separate reading space for the periodicals and special collection sections. The library has a collection of over 26,000 publications which includes books, periodicals, thesis, dissertations, rare books, project reports, Government Document, back titles of newspapers etc.. The Reference Sections has a huge collection of more than 3500 books and is continuously updated. The details of the Library and its services rendered to its readers (Students & Faculty Members) are as under. College library provides an extensive resource of reading material. 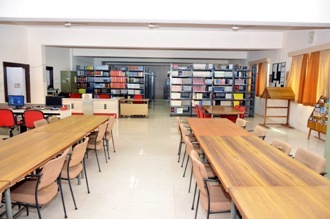 E-library, with eight computers on LAN with round-the-clock internet facility. Separate reading section by which students can get all books at one place. Extra books issued to top ten students of each semester as book bank facility. International Journal of Mechanical Engg. And Materials Sc. 10 ASTM (DL) ME, CSE, EX, EC, IT, Civil, Metallurgy, Instru. & Petro. 47,000 articles, 9 Imp. Engg. Journals 1400 ebooks & standards. 03. MATERIALS SCIENCE FOR ENGG. 09. MATERIALS SCIENCE & ENGG.